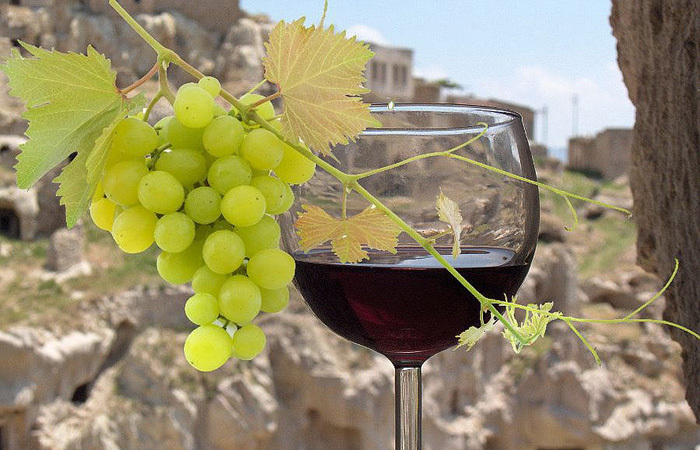 Use the form below to contact tour Cappadocia Wine Tour directly. 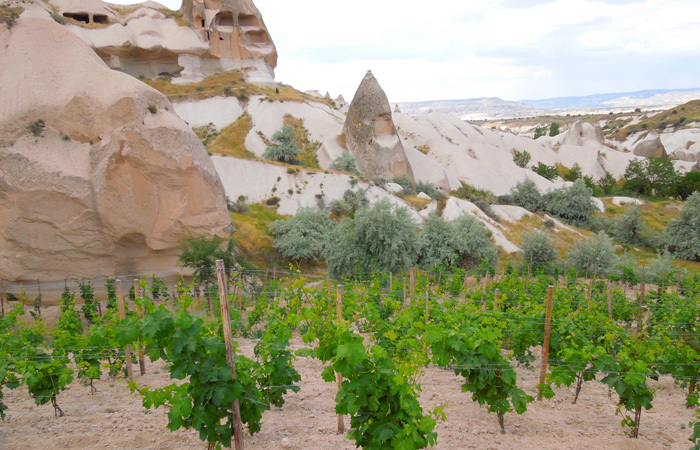 Turkey has been making wine for at least 4,000 years and some of the best of it comes from Cappadocia in Anatolia, the country’s biggest wine-making region. Perhaps it’s the climate, which suits wine-growing well, that makes for such great wine, or maybe it’s the way they age the wine in caves dug into the soft volcanic rock. 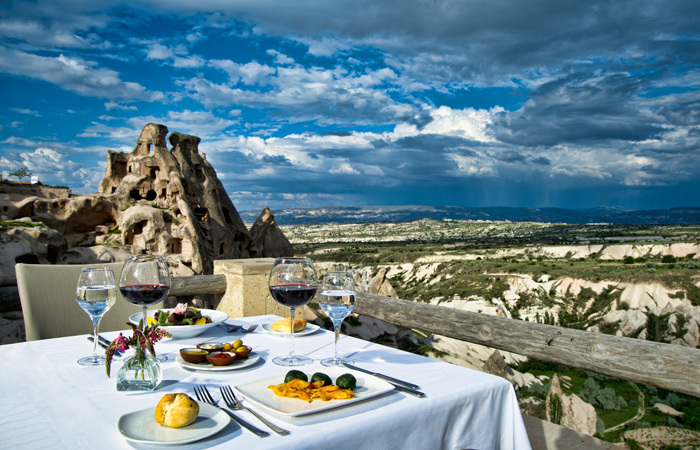 Whatever it is, wine and Cappadocia go hand in hand. The development of a wine culture is said to be due to the long history of Christian and Jewish settlements of the area, despite this being a largely Muslim country. The best grapes grown here are the white Narince and Emir and the red Bogazkere, Öküzgözü and Kalecik Karası. These Turkish wines are winning awards and continue to attract more and more world-wide attention. In this tour we first do a short morning walk through the rock formations of Cappadocia. We then proceed to Turasan’s Zeynep Vineyards founded in 2001 to grow international and autochtonous grape varieties of Turkey. We visit vineyards and get information about the growing process. We then go to the Winerys to see the rock carved wine cellar and to be informed about the process of wine making. During this visit We taste some of Kavaklidere,Kocabag and Turasan wines. At Kocabag, a boutique winery which produces 700,000 bottles of wine per year, you’ll see huge holes dug into the volcanic rock filled with wine – as this is where it ages. In line with tradition the rock holes are not lined with anything to let the wine breathe in a natural setting. Turasan Winery is the oldest in Cappadocia established 1943.and is now run by a third generation of the same family recently winning gold medals in Turkey and silver medals at world competitions. 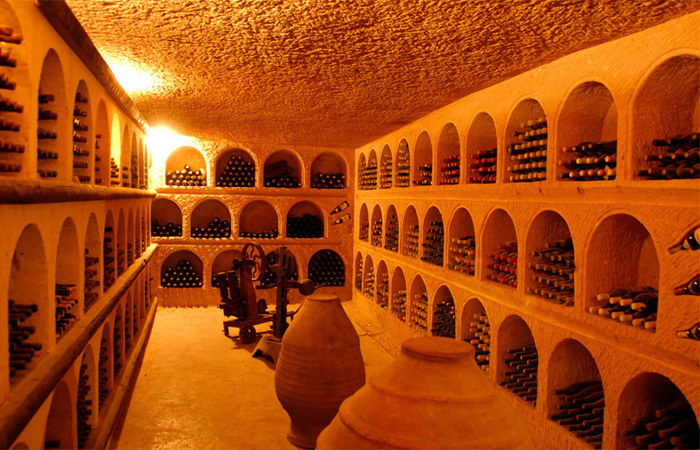 It has a carved rock cellar and wine tastings. We suggest you find your favorite Cappadocian wine, buy a bottle and head out into the city’s spectacular landscape to watch the sunset.Back to Hotel .